Calling all ABBA fans, Jersey Boy’s groupies, and other theater fanatics…the new buzz of the 2014-2015 Lexus Broadway Across Austin show list has been unveiled. Everyone’s tastes are different, yet this round-up is flawless when wanting to find our favorite shows. 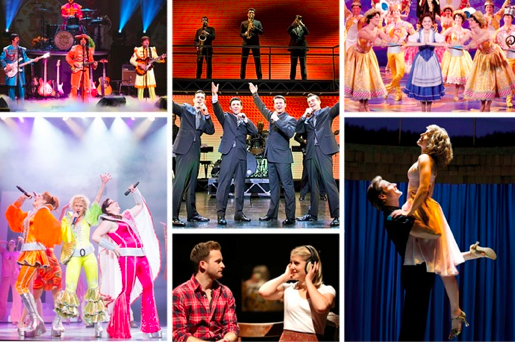 Bass Concert Hall will be hosting performances of Dirty Dancing, Evita, Once, Jersey Boys, Annie, Beauty and the Beast, Mamma Mia, and Rain next year, quite the experience of classic stories on stage. Lucky for you, season subscriptions are on sale now. If you want to enjoy the best seats in the house for Broadway hits all season long, don’t hesitate to buy because subscribers also receive great benefits including purchasing before the general public, replacement services, upgrading, and much more. The Texas Performing Arts organization is thrilled to bring Lexus Broadway to the community and share new and award winning titles of Broadway favorites. As a university based arts center, Texas Performing Arts presents international music, theatre, dance as well as the best in touring Broadway productions and concert attractions. With open arms they are welcoming Broadway Across America again, a leading Broadway producer and the foremost presenter of first-class touring productions in North America. It is quite the treat for the city and state. For purchasing season subscriptions, visit http://www.BroadwayInAustin.com or call 800.731.SHOW (7469) Monday – Friday, 9 AM to 5 PM. The deadline for current season subscribers to renew their seats is March 25th.